Inflation was tame in January, but prices are likely to rise in coming months, largely driven by higher gas prices. Inflation was tame in January, but prices are likely to rise in coming months. The Consumer Price Index, the government's key measure of inflation, showed prices were unchanged for the second month in a row in January, according to the Bureau of Labor Statistics. Compared to a year earlier, though, prices were up 1.6%. With inflation running under 2% a year, it's considered subdued and not a threat to the broader economy. "The bottom line is that there are few signs that inflation is becoming a problem," said Paul Dales, senior U.S. economist with Capital Economics. That being said, economists expect to see prices rise slightly in coming months, driven largely by higher gas prices. The CPI report showed gasoline prices fell in January, once seasonal adjustments were factored in, but economists are expecting to see a sizeable increase in the February figures. 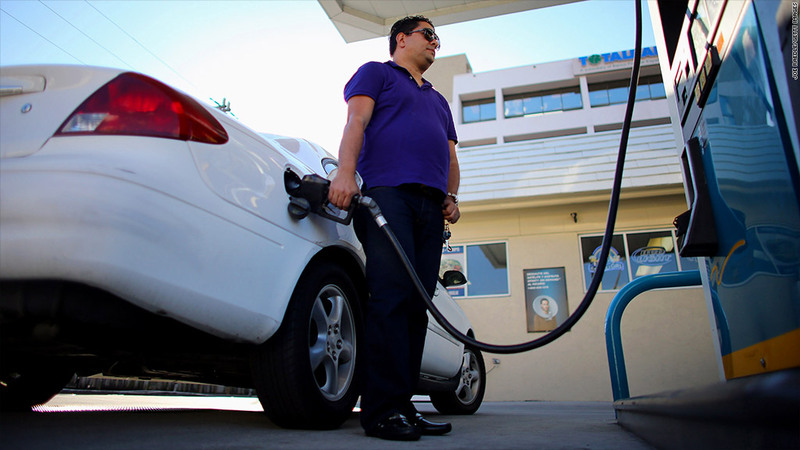 Gas prices have been rising for 36 straight days, according to AAA. At $3.778 on Thursday, the price for a gallon of unleaded gas is 49 cents, or about 15% higher than it was on January 17, when prices started rising. Stripping out energy and food, which are both volatile categories, shows prices are rising in other categories, although not by much. That measure, called core CPI, rose 0.3% in January alone, and is up 1.9% compared to a year earlier.